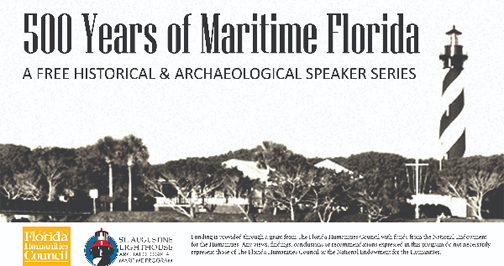 SAINT AUGUSTINE – 500 Years of Maritime Florida” is a free historical and archaeological speakers series that will be held at the St. Augustine Lighthouse & Maritime Museum beginning this month and running through March 2019. See dates and details below. To launch the series, Dr. Gifford Waters will speak about The Missions of St. Augustine on June 28 at 7 p.m. at the St. Augustine Lighthouse & Maritime Museum. Admission is FREE.